Looks like it is opening day for Major League Baseball! We will be watching some baseball today! 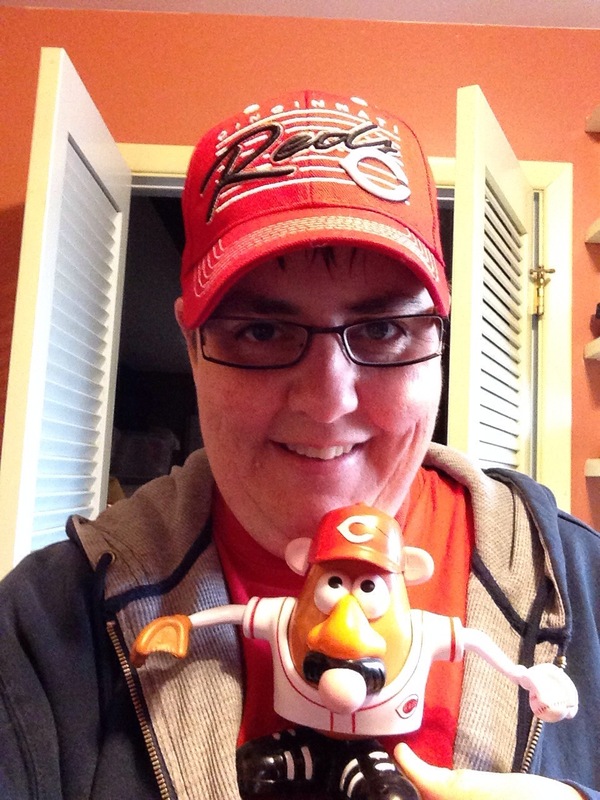 This entry was tagged baseball, blog, cincinnati reds, fun, kid friendly, laugh, Mr. Potato Head, opening day. Bookmark the permalink. How special! Love the hat, EXCEPT, WRONG RED TEAM!! Sorry Sweetie the RIGHT RED TEAM is of Course the “CARDINALS”!!!! Go Cards!!! Let the rivalry BEGIN!! Oh by the way, I LOVE YOU!! I knew that about you…must be in the water. A good rivalry is always fun! As long as your Cards aren’t playing my Reds I’ll root for ya! That would make a great World Series! Let’s root for that! I LOVE YOU TWO! Thanks for letting me read your blog!